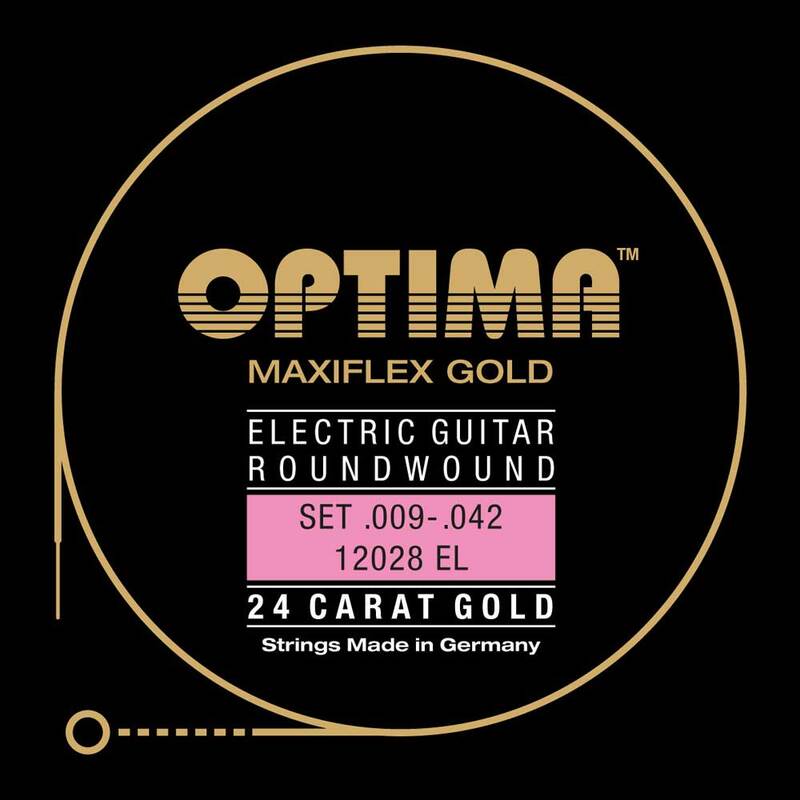 MAXIFLEX STRINGS have the same positive characteristics and specifications like ourGOLD STRINGS, but are altogethermore flexible. Maximum sound withmaximum flexibility. String of unmatched premium quality. All strings arecoated with real 24 carat goldand are therefore completely insensitive to tarnishing or corrosion. Their durability is, compared to normal strings, up to three times higher and they are suitable for people allergic to nickel. GOLD STRINGS are characterized by a brilliant sound and the typical SOUND OF GOLD.